The success of an enterprise depends heavily on its workforce. This is precisely why CEOs around the world are now concerned about hiring quality talent more than ever before. To overcome this challenge of talent shortage, there is a need to speed up and simplify the recruitment process. Recruitment automation tools have the capability to replicate the entire manual recruitment process digitally, saving lot of time, energy and resources while improving employer brand. Recruiting automation tools/software automates the manual processes of sourcing, shortlisting, pipelining and selecting qualified candidates for a role. These tools streamline the entire candidate search through API integrations with various job boards, allow posting jobs to different platforms simultaneously, and are equipped with intelligent CV screening and shortlisting algorithms. Recruiting automation is a powerful evolution from the traditional pen and paper model of hiring. According to research by ResearchMoz, the global recruitment software market is growing rapidly and will reach $2.7B by 2022. The research has confirmed in its findings the growing demand of SaaS-based recruitment software that will not make the recruitment process more efficient but also allow recruiters to access data and services from remote locations, anytime, eliminating the need for any on-premise server and software installation. These on-cloud recruitment software also offer other benefits such as quicker implementation, reduced costs and better ROI. Just like the sales and marketing industry has experienced huge performance benefits after adopting software-enabled automation, recruitment industry will also experience better results once they understand the full potential and benefits of automating recruitment process. While in some quarters there are some reservations regarding AI and robots replacing humans, it’s essential to understand recruiting automation in the right context. Automation is supposed to give recruiters relief from endless hours of manual screening of candidate CVs, and maintaining large spreadsheets of recruitment activities amongst others. It will never ever replace recruiters. On the contrary recruitment automation will give recruiters more time to be innovative, creative and strategic. Writing effective job descriptions and posting them on different channels repeatedly can be incredibly time consuming and frustrating at times. However, with automation tools with machine learning can now go through different job descriptions you have posted previously, analyze and predict how your new JD will perform. You can implement the suggestions to maximize the number of applicants. The job description can be posted on different platforms in a single click. What more, all the responses coming in can be prescreened by machine learning algorithms to sort the best candidates for a particular job opening. These ML algorithms learn from recruiter behavior and can provide “profile suggestions” the next time when a similar role is open for hiring in the organization by scanning through the database of CVs. Tracking candidate data, maintaining record of recruitment activities and analyzing recruitment performance is a highly important part of recruitment process. However, it is also the most hated and time consuming part of a recruiter’s job and understandably so. No one likes filling up complicated spreadsheets and forms and using complex formulas to analyze performance. Automation tools that are equipped with robust data tracking and analytics not only give recruiters the business intelligence to identify bottlenecks and improve the ROI of the overall recruitment process, but also automatically provide a number of reports that give an instant primer on their productivity and help improve it. Also Read: What is driving the adoption of HR Technology? AI tools like chatbots can integrate with your recruiting software and provide an instant messaging experience between recruiters and candidates. While earlier candidates had to wait for recruiters to send their application status updates, recruiting software now sends automated mailers to candidates whenever there is an action on their application. This gives applicants a clear picture of their candidature, eliminating any confusion and allowing them to pursue other options simultaneously. Offer letter acceptance and document collection is also an online process now that can be completed with few mouse clicks, thereby making a complex process extremely simple for the candidates also, eliminating any need of carrying a stack of document on the joining date. Also Read: Chatbots In Recruitment: How Do They Help? According to Entelo survey of hundreds of TA professionals, 75% of recruiters commit to use of technology in their hiring process in 2019, saying it will play an important role. As passive recruitment becomes the most important source of “high-quality” candidates, majority of recruiters are now turning to automation tools to build a talent pipeline or a personal CV database through sourcing. Also, while 78% of recruiters believe that data intelligence would make them more successful at their job in 2019, 71% recruiters agree that intelligent tools are required to process data for them. Over 39% of recruiters believe candidate sourcing is the key area where recruiting automation is most useful followed by shortlisting and interview scheduling. However, the overarching theme of the research is the irrefutable ability of recruiting automation to increase productivity as over 80% of recruiters agree on this. This is why 22% of TA teams will increase their budget for recruiting automation technologies. Automation is a buzzword in the recruitment industry. While we witnessed the first automation technology making its mark in HR in mid 1990s, it wasn’t until last 5 years that applicant tracking system became an absolute necessity for HR professionals and there were good reasons for that. HR Technology has come up in a big way in the last few years. While large enterprises have been quick to adapt, there are still several small and medium businesses that are stuck with the traditional ways of hiring, thus losing out on top talent and hours of productivity with every passing day. There are umpteen benefits of using an Applicant Tracking System. We have listed here the top 10. The case for using applicant tracking systems in recruitment is becoming stronger as business heads now acknowledge the role of next generation HR technology in improving HR productivity and efficiency. The C-Suite executives now understand that talent is their biggest asset. This is precisely why, whether it is an enterprise or a startup, every business is looking to expand their HR capabilities so as to improve the talent quality and hiring process (Also Read: Top 10 Benefits of Using an Applicant Tracking System). Even if you are one of those early adopters who were already using an applicant tracking system in your organization, it is essential to keep looking for signs that you are actually getting the maximum bang for your buck. Every business has its own hiring process and modalities. There are certain norms and practices that apply very well to a manufacturing business but may not hold true for an IT company. The Applicant Tracking Software you are using must take into account the nature of your business, the scale of your business and allow you to setup a hiring workflow accordingly. If the ATS doesn’t have such configurability, it is time to look for a better option. Using your ATS, you should be able to replicate each step of your hiring process, whether it’s calling a candidate for an interview, sending out reminders, scheduling interviews, generating offers or onboarding. Also, when a business scales and grows into various departments or separate entities, its hiring process also evolves and becomes complex. Your ATS should be robust enough to handle the new, complex hiring flow. In short, the applicant tracking system you chose should completely satisfy the unique needs of your company’s hiring workflow. Whenever there is talk of B2B software, especially enterprise software like ATS, integration is a major concern. Integration becomes tricky with Applicant Tracking Systems as most large organizations use their legacy HRMS or Candidate Management Systems, which they are heavily reliant on for managing a lot of HR tasks. Replacing their HRMS to accommodate a new ATS or vice versa doesn’t make sense most of the time and therefore, ATS integrations become a key concern in such scenarios. Make sure your ATS vendor offers integration with third-party solutions, so that talent acquisition professionals can leverage the power of latest tools and technologies without compromising on their choice. These technologies could be anything, from data analytics & business intelligence tools to chatbots, third party search, email and others. This integration should take place seamlessly on the back-end, without affecting user experience, where user can be either the recruiter himself or a job seeker. Deploying an ATS is largely dependent on the benefits that every ATS vendor promises. Reduced hiring time is one of such advantages that an ATS user should ideally experience over a non-ATS user. The ATS is supposed to have functionalities, such as a search and parse algorithm, automated workflow, instant communication or collaboration between different stakeholders, that enables recruiters to take more effective and timely hiring decisions. This can only happen when your ATS not only allows sourcing the best matches for a role but also supports end to end hiring. In effect that means, the Applicant Tracking Software must act as your end to end recruitment software. Time to hire is an important recruitment metric that indicates the effectiveness of the ATS in use. Ideally, the ATS should be telling you the time spent in filling a position after it is posted. This would help you compare and gauge the effectiveness of your Applicant Tracking Software. A report from Software Advice says that 26% of recruiters believe using ATS has a positive impact on the candidate experience (Also Read: How to Measure Candidate Experience?). Using the right ATS can go a long way in improving the candidate experience. Good candidate experience comes from simplicity and intuitiveness. A good ATS should be invisible to its users. The last thing you want is to use an ATS which may count high on features but has an overtly complicated and long hiring workflow. If your ATS is making the job application process lengthier for the candidate than it should be, it’s time to change it in favor of simpler, easy-to-use software. Of course some systems will claim to be better than others, but you have to test it out yourself which ATS are actually proving to be better for your audience’s experience. If you are still stuck with an ATS that doesn’t have built in support for social media for sourcing profiles, it’s time to change it. The new age applicant tracking systems allow posting jobs on various social media channels in order to reach a previously untapped mine of talent. In addition to social media posting, social media sign in is another important feature where candidates do not have to create a new profile from scratch while registering for an account. The ATS can pull profile details from the social media page of the candidate. Allowing employees to easily share the job posted on employee referral site to their own social media account through the click of a button will expand the company’s pool of resumes and help them tap into a greater talent pool. Thus, lack of social media integration in your ATS is no longer acceptable in the current age. The role of Applicant Tracking Systems is vital in evolving hiring processes across departments and organizations. However, first it is important to bank your money on the right piece of software in order to maximize your gains and return of investment. https://companies.naukri.com/rms-careers/wp-content/uploads/sites/21747/2018/05/upgrade.jpeg 326 980 Naukri RMS Naukri RMS2018-05-31 06:20:262018-09-05 11:17:10Why Your Applicant Tracking System Needs to be Changed? We have already dealt with the basics of Boolean search and its applications in sourcing and recruitment. Owing to the limitations of Boolean search there was a need to migrate towards a more comprehensive and intelligent search technology which was partly fulfilled by semantic search. What are the Benefits of using Semantic Search in Recruiting? What is the future of Semantic Search in Recruiting? 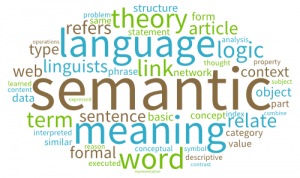 Looking up the definition of semantics reveals it as “meaning or interpretation of a word or sentence”. Semantic search is defined as a search technique which takes into account the meanings of words and the searcher’s intent, looking beyond the exact word for word match of the search query. Semantic search works at contextual and conceptual level, allowing you to search for “meanings”, rather than simple “words”. Applicant Tracking Systems are a great help for recruiters because they present a centralized database ready for sourcing profiles. Earlier, recruiters wasted precious time going from one source to other source searching for the matching candidate. An ATS solves this pain point. But is that all to the much hyped “recruitment technology”? Shouldn’t the ATS be able to provide you with the best possible candidate for the job, and not just matching profiles? However, most ATS providers currently lack that search intelligence which can guarantee such results, even if they have the vastest database of prolific candidates. Semantic search intends to solve this problem. Jobseekers do not write their resume for software. An average ATS often misses the best candidates as their search function which relies solely on Boolean is not capable enough to understand the words that they are using to phrase their skills and experience. A recruiter when uses a particular query for searching their database, might be missing on candidates who chose different words to describe the same qualification. Semantic search solves this by understanding what the candidates are conveying and how it relates to the search query. For instance, when a recruiter searches “content marketer”, semantic search takes into account the expanded meaning of the word by using language patterns and fetches all the best possible related results that may also include candidates with “digital marketing”, “content writing”, or “blogging” as their key skill. Thus, leveraging semantic search, recruiters can source from a larger pool of qualified candidates. It will be wrong to assume that Boolean search is any less powerful than Semantic. However, relying solely on any one of these search technologies will only result in a compromised ability to source relevant candidates. Until AI and machine learning becomes mainstream, ATS vendors will have to keep finding ways to combine the strengths of both in their offerings. In the end, a human touch will always remain an absolute must to make the difficult decisions. An applicant tracking system should allow recruiters to post jobs on multiple job boards in one go. To enable this feature ATS should have multiple job board access. In order to build a large candidate pool, it is essential to be able to source CVs from multiple channels. The ATS should have this inbuilt feature where the user can post the job to multiple job boards in one go. This feature makes sure recruiters do not have to post the same job description to different job boards one by one and thereby reducing the redundancy. It helps in increasing recruiter productivity and speeds up the hiring process. After sourcing, recruiters have to screen the candidates for the open position. Going through thousands of CVs is not an option as it will be a tortuous and time taking process. The ATS should be equipped with candidate screening tools that automatically scroll through the CVs and parse them in structured, searchable format. Using the screening feature, recruiters should be able to filter through the entire database of CVs in few minutes to find the relevant matching profiles. The most critical functionality of an ATS is its ability to find candidates based on keywords query of the recruiter. Although there are many other uses of an ATS but there is little that you can do until you have found someone for hiring. Just because you have a huge database of resumes doesn’t mean that you can easily hire anyone whenever required. The data is of little value if you do not have the means to retrieve the right information when you need it. Therefore, having an exceptional search and resume parsing technology is of critical importance. ATS uses resume parser to extract useful information from CVs and make them searchable. With the aid of semantic search capabilities, an ATS is quickly able to sort CVs as per the keywords. An ATS with an intelligent parser is able to understand keywords and the context in which they are used and return accurate results. With a strong parsing technology in place, an ATS can become HR’s best friend helpful in better talent management by removing manual entries and wrong information. Ask any recruiter, and his biggest pain is hitting the target numbers. Hiring process is as much about getting tangible results as it is about building fruitful relationships with candidates. This means ATS should be as much about providing sound reporting and analytics capabilities as it should be about providing a positive candidate experience. Ask your ATS vendors about the recruitment metrics that can be tracked by the ATS. Time to hire, time to fill, cost per hire, and employee referral tracking are some of the vital recruitment metrics that your ATS reporting and analytics module should cover. Millenials are a mobile loving generation. If the candidates are using mobile to search and apply for jobs, the applicant tracking system should enable them to do so. The ATS should provide ease of use through a mobile friendly interface to candidates who want to complete the application process while on the go. If the ATS cannot provide a seamless experience on mobile, there is a huge chance of losing out the talent to the competition. ATS that are equipped with messaging and collaboration tools allow seamless communication between candidates, recruiters and the hiring manager. With proper communication candidate experience is positively impacted which again leads to building of a strong employer brand. In the end, a strong employer brand is essential to attract the top talent. Also, seamless collaboration removes bottlenecks, enhances performance and propels the process towards greater success. Why Cloud Based Applicant Tracking System is a Better Option? If you are a part of the recruitment industry, you must have heard by now about the various benefits of using a hiring automation tool, more commonly known as an applicant tracking system. Many of you must be experiencing it firsthand. But what about a cloud based ATS? How does it make more sense, than say, your locally hosted ATS? With cloud comes the ability of remote access. While on-premise software will require you to be physically present in the office to get work done, an ATS with cloud capability will let you work from anywhere with just a computing device and an active internet connection. Working from office is not the most convenient option at times and therefore, having a cloud based system is of much use as it allows retrieving information and data from anywhere, anytime, 7 days a week. On premise software are often bulky and require expert installation skills, which make them a time consuming affair. On the other hand, with cloud based applicant tracking system, speedy implementation can be achieved as they do not have very high specific system requirements. Also, cloud based recruitment software do not require much training as compared to legacy software. 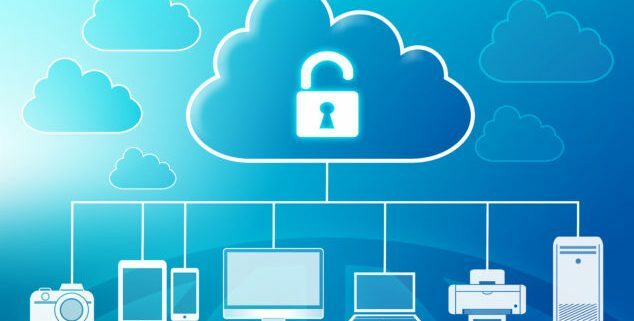 Without the need to spend time in processes like procuring licenses, setting up servers deploying cloud-based software is a much speedier process. Owing to the number of stakeholders involved in recruitment, the entire process becomes a lot complex and time intensive. Using cloud based applicant tracking software speeds up the entire recruitment process by reducing the response time between different parties involved as each update happens in real time. Coordinating communication becomes easier resulting in a more streamlined workflow. By removing friction across different stages of recruitment, a cloud based ATS accelerates the entire recruitment process. With on-premise software, upgrading is a big headache. You have to call in engineers from vendor who take their own sweet time getting the system updated without worrying about your days of productivity going out of window. So much is the concern whenever an upgrade is around the corner that many companies ultimately decide to give it a miss, making them vulnerable and outdated. The cloud makes upgrading a system a breeze. You don’t even have to know that an update is happening, and your productivity and work remains unhindered. The vendor regularly releases patches and updates, which are applied automatically whenever the system is idle. This way your cloud based ATS is always updated with latest features and you can stay on top of your game. As we already know that in cloud-based software, you are not required to buy any costly license per user like that in legacy software, therefore, you can be assured of greater capital savings. Plus, you will not require buying additional servers and storage space to host the software, and also can save on employing a specialized IT technician for update and maintenance. Applicant tracking systems based in the cloud result in significant cost savings and promise better ROI by improving productivity. There are numerous other benefits that one can experience by implementing a modern cloud based recruitment solution such as improved transparency, easier integration with other software and improved usability. https://companies.naukri.com/rms-careers/wp-content/uploads/sites/21747/2017/11/cloud.jpg 556 863 Naukri RMS Naukri RMS2017-11-21 10:10:122018-08-31 13:02:10Why Cloud Based Applicant Tracking System is a Better Option? https://companies.naukri.com/rms-careers/wp-content/uploads/sites/21747/2017/11/Applicant-Tracking-System-Featured.jpg 300 750 Naukri RMS Naukri RMS2017-11-15 10:07:342018-08-31 13:14:54How to Select an Applicant Tracking System?